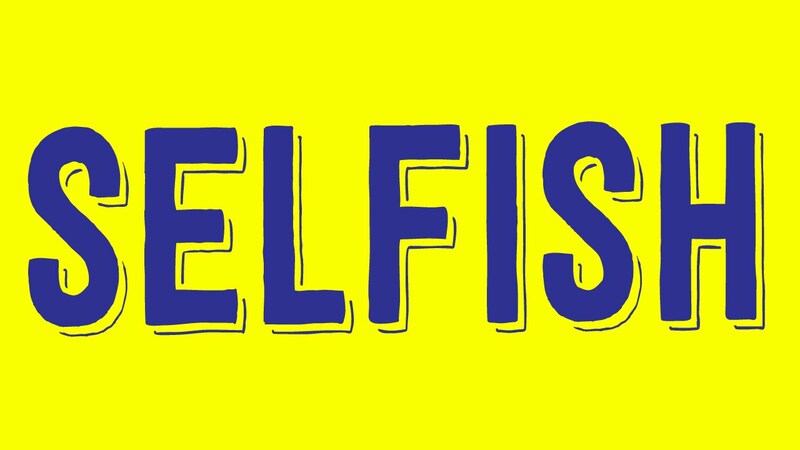 Why Being Selfish is the Only way Forward in Business. My original thought for this blog was to write about how giving something away for free can make a massive difference to your profit line. I always get a little cautious around people running businesses who claim that they have no interest in making money and just want to help people. I mean, why set up a business in the first place? Just go out and help people. But more than this – So what if it’s selfish?! There is no such thing as an unselfish good deed. I hear the altruistic saints out there turning in their graves, preparing to Frisbee their well-worn halos off my smug head… but it’s true. Think about any good deed you have done in your whole life. Did you get anything out of it even if it was a sense of satisfaction or pleasure? 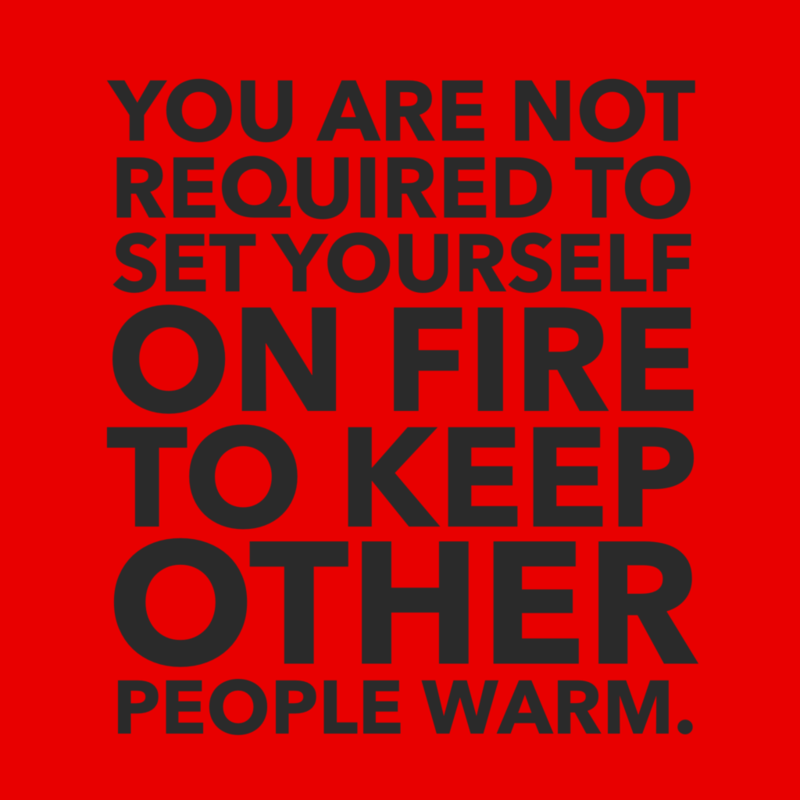 That makes it selfish (self-serving). I have a friend who pays at least fifteen thousand pounds per year to send his daughter to a private school in Newcastle upon Tyne. He complains about it regularly but he wants her to do well, to have a good life and get a good job. He is being selfish. When his daughter does well, then he is happy, he feels he is doing a good job – hence, selfish. 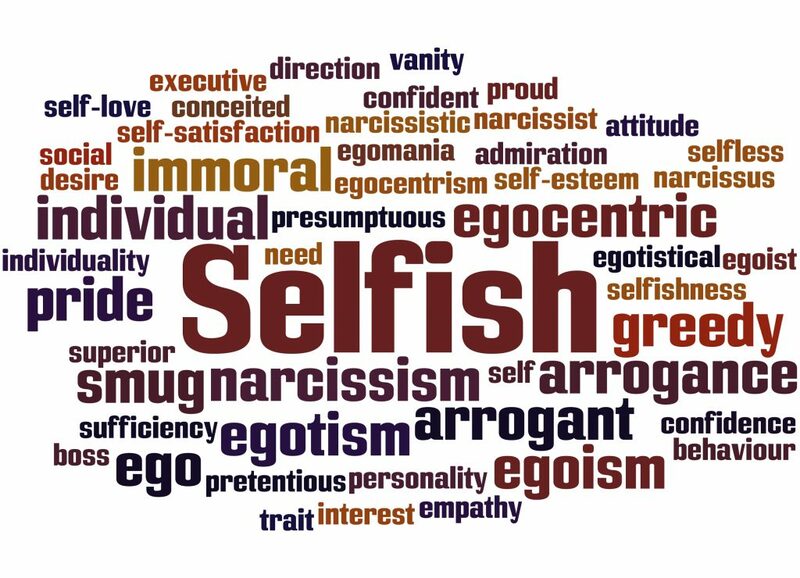 I think the mistake many people make is to think that being selfish is always a bad thing; that to do so would be a negative slur on their perfect persona. There is no such thing as an unselfish deed of any kind (Good or bad). If you are introverted and you perform an action that strengthens your resolve to avoid people, then you can comfortably remain introverted. If you are frightened of success and making money then you can procrastinate and not perform the desired actions to achieve a certain goal, thereby keeping you and your fear far apart. 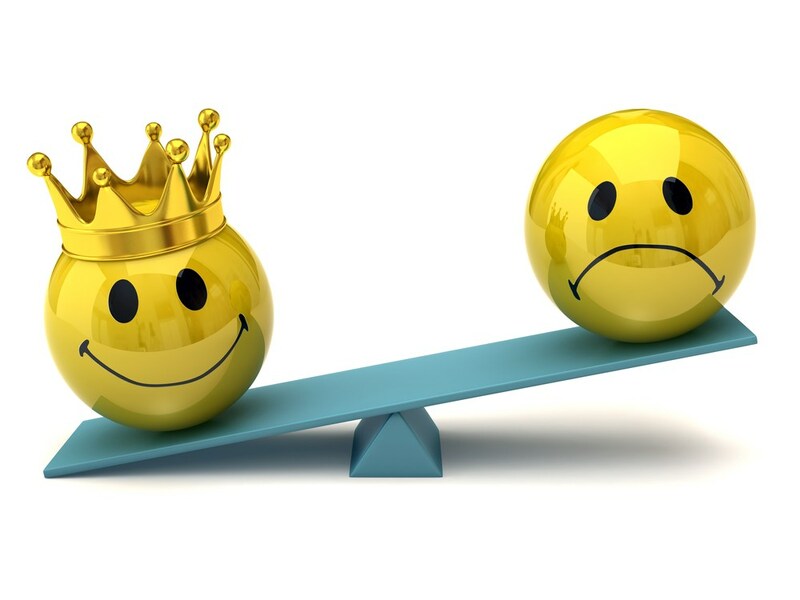 All that is needed for you to be happily ‘Guilt Free,’ successful and selfish is a minor change of mindset, by accepting the points raised above and concentrating on what you want. We want to make money. We also want to help people. Right, now that that’s sorted, let’s be selfish together. Our last blog concentrated on branding. Which is as you may recall, is not a logo or a website, but your current and potential client’s perception of your business. If you missed that one, then you can access it here. When clients see your business, they WANT (Making it selfish) to see it performing in a way in which they would feel a strong sense of synergy and connection. They want to see their core beliefs being practiced in the wider community. It solidifies the social acceptance of their core beliefs. 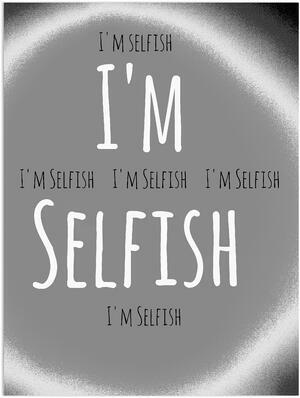 So, if you can agree that you are positively selfish then it doesn’t take a great leap to think of your current and potential clients as selfish too. They all have wants and needs after all. When you selfishly service their wants then you can reap the benefits because they will feel obliged to return the favour. How can I promote my service or produce? How can I increase my customer base? How can I use my unique qualities and skills to help people? What can I do that people would really appreciate? Your initial goals will be satisfied by default anyway. Once common tactic is to give something away for FREE. If you spend either, genuinely in the service of another person’s success, then you will always get something back for that. It could be money, it could be a saintly sense of satisfaction. It really depends upon what you want and the method you use to get it. Let’s take Mars, one of the biggest food manufacturers in the UK. They give away fun size treats for children and corporate clients every year and donate millions to good causes. Is it really a giveaway? Well, they are literally giving produce away that it would have cost them thousands of pounds to prepare, package and deliver. What do they get back from it? According to what I’ve read from some of their clients, they certainly have received positive comments, thank you’s and chocolate covered smiles from their corporate clients. Brand awareness – When people like your product and service they feel a connection that they want to share so other people can experience the same. Healthy Profits – At the last count Mars profits were $35 Billion. Now, you may be thinking that Mars is an international, well-known Brand. They can afford to do that. Does that mean giving away their produce is pure madness then? I would argue that they are not one of the biggest brands without doing something right and we would be far wiser to learn from them. Back in November of last year, Wigan based Food manufacturer ‘Romix Foods’ started giving away their cakes to homeless charities. Following this they were awarded £10,000 to buy new machinery, signed Wigan councils deal for business and now supply foods to local supermarkets. “Romix Foods have done an impeccable job from donating cakes to homeless charities to supporting the borough’s young people and I look forward to hearing about what else they may do in the future. Because they help, people of influence WANT to work with them and give them that same helping hand back. Strong and powerful business brands out there, recognise the power of community and the strength in numbers. They will unashamedly ask for and receive help and will always be happy to return the favour. What if you don’t have money to spare? Then your time and expertise become the commodity you can impart. This can be every bit as useful and valuable as a literal cash injection. Take this series of blogs for example. There is no subtle subliminal sales message embedded in ancient hieroglyphics, between the lines. There’s no alarming call to action, trying to tempt you to part with your hard-earned cash. They are designed to help, pure and simple. It’s part of who I am as a person and what I believe Harlands as a brand stands for. We receive business advice and give business advice every day. It is this sharing of resources that enable us to set up foundations as a strong, supportive and unshakable community. What is it you can do for your potential and current clients that will make them so happy that they will want to write your name across the sky for all their friends and family to see? 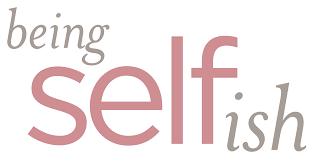 I hope you enjoyed this blog and found it useful.